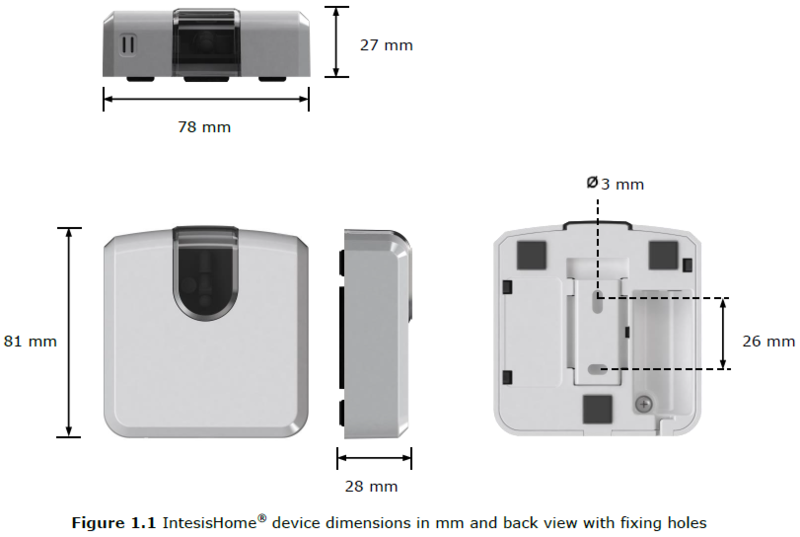 The IntesisHome Universal device is an external module capable of connecting your Air Conditioning units into your Wi-Fi network in order to provide global connectivity and remote control applications through a friendly user interface. 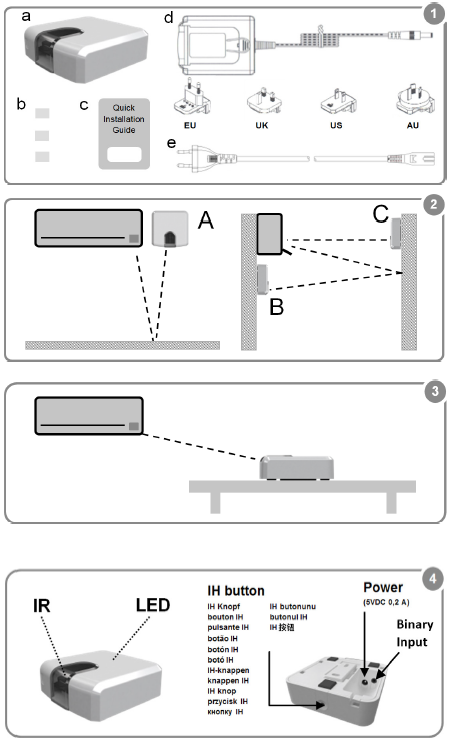 Compatibility with most AC units with IR wireless remote controller. Control and monitor: On/Off Mode, Set Temp., Room Temp., Fan Speed, Vane Position. 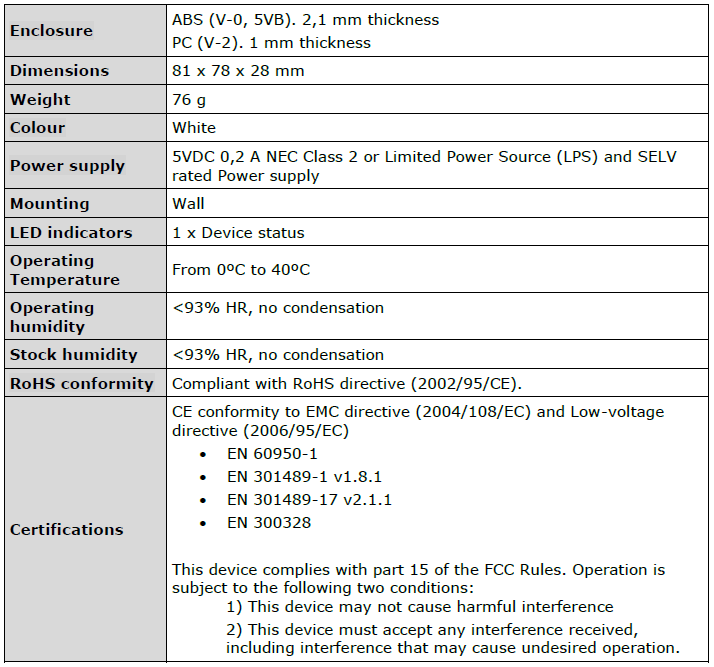 Power supply connection to EU, UK, US and AU plugs. Easy installation: On the wall or over the desktop. On/Off status and AC Mode LED indication. AC unit status and monitoring1. Use the compatibility list to find the AC Brands and models compatible with the Universal WiFi Controller. Some of the brands are: Acson, Aermec, Aircool, Aircool, Airlin, Airwell, AlpicAir, Argoclima, Blaupunkt, Carrier, Daikin, Daitsu, Delonghi, Dolphin, Emmeti, Electra, Friedrich, Fujitsu, Fuji Electric, General, Gree, Hiyasu, Kaysun, LG, Midea, Mitsubishi, Panasonic, Sanyo, Samui, Sanyo and more.